Here’s what you should know before you hop on to the saddle and ride away! Choosing a bike is an easy process, provided the person is educated about the one basic parameter, i.e. objective. Be it Road, Hybrid or Mountain bikes, one needs a thorough understanding of the various categories of bike geometries available in the market under various brands along with their scaling and measurements. Getting into cycling is a real no-brainer — not only is it good for your health, it’s good for the environment as well. However, once your biking goal is known, the next step is to look out for brands catering to the specific category of bikes you are looking for. With various categories in place, there is always a chance that size may vary based on the type of geometry for the same person too. Thus, one can’t simply buy the medium of every model to cater to all their cycling needs. Here are seven major factors you need to consider before making your purchase. Every rider has a different body type which makes it important to choose a bicycle based on a person’s physical fitness and flexibility. A test ride at the showroom can provide a much-needed advantage in terms of finding the right bicycle. Another crucial aspect to be considered is the budget while choosing the bike. The starting price varies to a great extent based on the type of bike you are looking for. For example, time trial and aero bikes usually start at higher price points as compared to endurance and race geometry bikes. The recent technological developments have enabled bikes to have disc brakes in the market. This makes the ride much safer, especially during the monsoon season. It’s a good investment in terms of safety. Another area where a lot of advancements have been made is the weight of the bicycles. 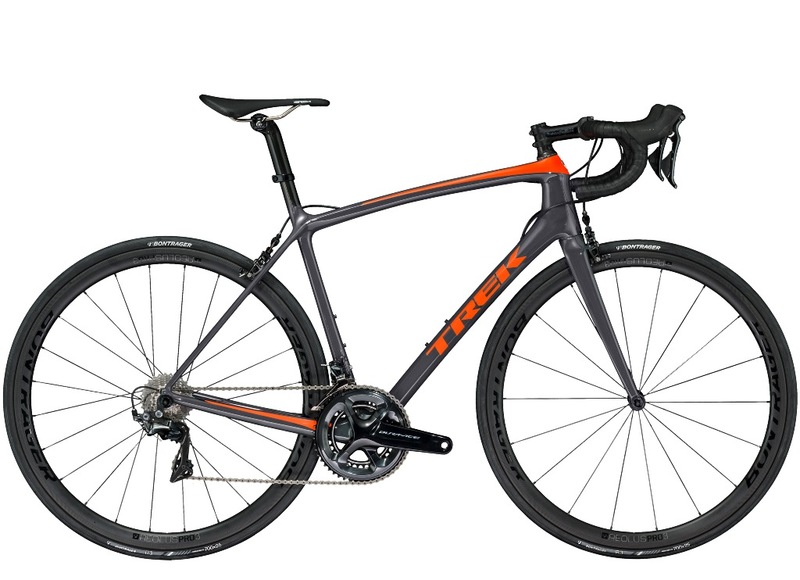 Top of the list of advancements is Trek Bikes, whose very own patented carbon fiber called OCLV (Optimum Compaction Low Void) Carbon, is the company’s strongest, lightest carbon till date. The Trek Emonda SLR 9 is the lightest production road bike in the world with the frame weighing only 640 grams. This is an indispensable factor that one always chooses to neglect while choosing a road bike. If you come from a hilly area, you can’t buy an aero or a time trial bike, instead, your obvious choice should be endurance or race geometry bikes with disc option in it. On the other hand, if you come from a flatland and your goal is to excel in time trailing, then aero and time trial bikes are the way to go. When a person invests in a bike, then their budget for maintenance of the bike must be proportional to the initial cost. 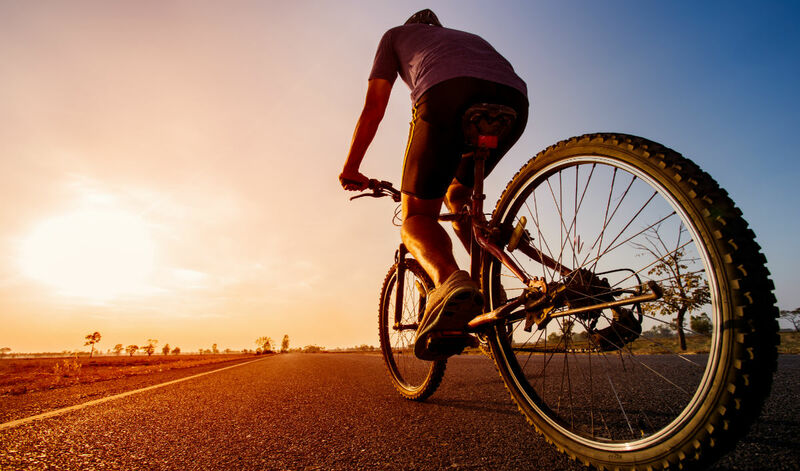 Wear and tear on various moving parts of the bike is a very common phenomenon because high-end bikes are lighter and usually used in races where the process of wear and tear is much faster as compared to mid-range bikes. Remember to get your bike regularly serviced and check the various spares on them irrespective of the cost of the bike. This is purely based on the individuals and their liking towards a particular colour combination. This also becomes an important factor for a majority of customers as they invest a lot of money and time while choosing a bicycle. For a lot of roadies, it’s all about the style statement, along with the attire and bike colour. Thus, it is crucial to choose a bicycle according to your preferred colour. Wearing the right set of riding gear is also as important as choosing the right bike. Always make sure you wear a helmet and a reflective jersey/jacket so that you are visible. Also using the front and the rear light always helps you to be noticed by other vehicles on the road. With these points in place, we are sure you will choose the perfect bike to suit your needs. About The Author: Kiran Kumar Raju is a Super Randonneur professional Mountain Bike Rider hailing from Mysore, Karnataka, India. A two-time Mountain Bike (MTB) Indian National Champion, the Super Randonneur, is deemed as the No. 1 MTB cyclist in India, with numerous accolades and achievements under his belt. He has also been associated with renowned cycling teams in India. At present, Kiran Kumar Raju is an Official Trek Pro Rider.